In my series “Trace” my aim is to uncover different traces of memory; those expressing emotions, places or people. The process starts from daily life, by hearing, seeing, reading or experiencing the things that draw my attention. I like to think of my images as poems, made from a deeply personal point of view in order to understand universal feelings. 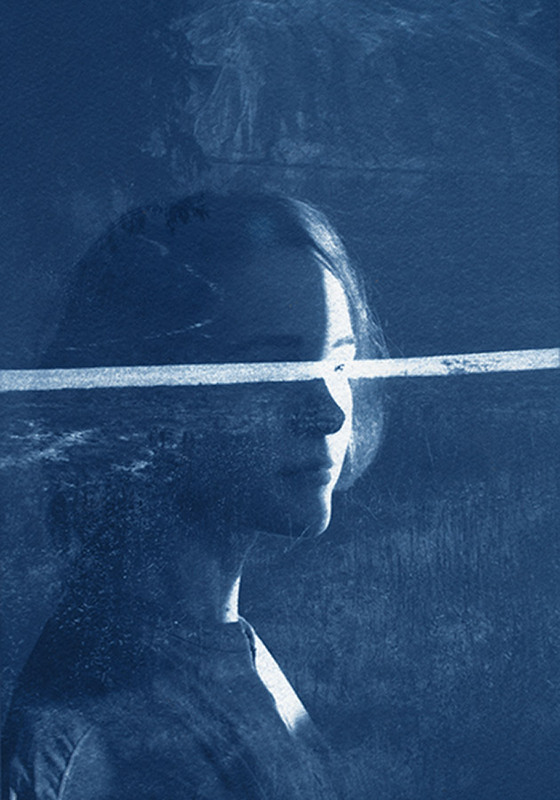 I am using both cyanotype and digital collage to combine archival materials and staged photographs. The archives range from old family albums to mobile snapshots. The main themes in my work are perishability and invisibility, combined with a critical look at the everyday habits that usually go unquestioned. At the same time, I want to tell stories that are clearly separate from our day to day reality. My use of the color blue is something that I can’ t date exactly but is essential to the feeling of the work.